Sherlock Holmes, one of the most famous fictional detectives, has lived a rather rough life, filled with mystery and adventure. Dealing with such is never easy, but Mr. Holmes always managed to get out on top, with the help of his trusted friend, the physician John Watson, and many other characters who have lent a hand to the famous detective over the course of the years. Frogwares, the team behind the excellent Sherlock Holmes: Crimes and Punishment, is one of the very few teams that has managed to faithfully transpose Sherlock Holmes adventurous life in video game format. The team tried to capitalize on every good feature introduced in Crimes and Punishment with the new Sherlock Holmes: The Devil’s Daughter, managing to improve the basic adventure game experience, and add features that might attract those who aren’t exactly fans of the genre, albeit with some issues here and there that sadly prevent it from being a complete masterpiece. Sherlock Holmes: The Devil’s Daughter stars Sherlock Holmes, John Watson and many other characters that have been introduced in Conan Doyle’s works and beyond such as Holmes’ daughter and others. During the course of the game, players will have to solve a variety of cases, which often involve mysterious murders and disappearances, by collecting evidence, interrogating witnesses to connect all the dots to get the full picture and finally solve each mystery. From the very first case already, it’s pretty clear how Frogwares had a very good idea on how to make Sherlock Holmes: The Devil’s Daughter as compelling as possible for a wider audience. The case eases players into the game’s main features and mechanics, and later climaxes to an action sequence which adds an unexpected twist and quite a bit of tension. Such sequences are rather unusual in adventure games, but they have been implemented well in Sherlock Holmes: The Devil’s Daughter, making them feel as a natural continuation of the regular adventuring sequences, even though they don’t always play as nicely as intended. They do make sense from a narrative standpoint, though, so they don’t feel tacked-on just for the sake of having them at all costs. 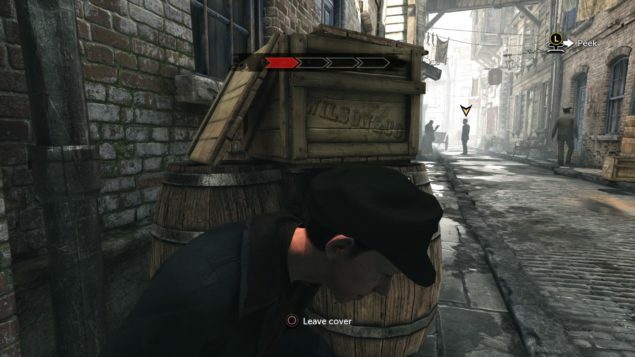 The adventuring sequences of Sherlock Holmes: The Devil’s Daughter don’t differ much from what the team has already done in previous games of the series. 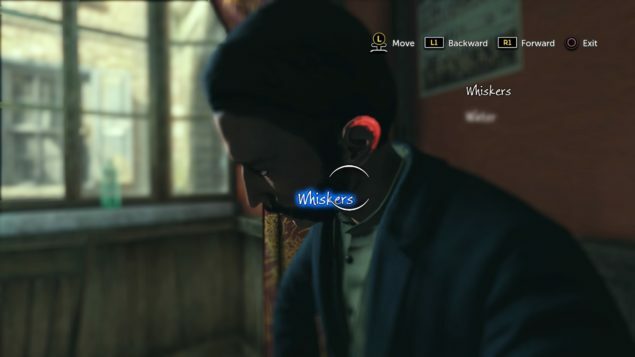 Players will be controlling Sherlock Holmes most of the times, visiting a variety of locations set in London, collecting evidence and interrogating witnesses. Evidence collecting is pretty straightforward: by moving around, players will often see the cursor changing, indicating that a specific location or object can be analyzed by Holmes’ sharp mind or can simply be interacted with. Once all details have been discovered, the cursor will change again, indicating that there’s no more to find. This little touch makes it quite hard to be stuck during the course of the adventure, at least on the regular difficulty level. The casebook is also another welcome feature, as it keeps note of literally everything from dialogues, to evidence and current objectives. With all these tools, it’s very difficult to not know what to do next. Smooth and responsive controls also contribute in making the adventuring sequences rather enjoyable. Interrogating witnesses is another important part of any investigation, and Sherlock Holmes: The Devil’s Daughter does its best to make players feel like private investigators. When meeting important characters for the first time, players will have the chance to define a Character Portrait, which will allow them to learn more about the character’s current state. Information gathered during these sequences will prove to be crucial when interacting with them, so it’s very important to get everything right. An inaccurate portrait might lead to other mistakes, which, in turn, might lead to players making wrong decisions later on. Collecting evidence usually becomes a bit repetitive in adventure games, but Sherlock Holmes: The Devil’s Daughter does its very best to avoid this and keep players as engaged as possible. More often than not, players will have to complete a variety of puzzles, mini games and more action oriented sequences to proceed with the investigations. Each case has some unique mini-games and sequences which are never repeated in later cases, something that gives each case a very unique feel outside of the premise and setting. Most of these sequences can also be skipped if players desire, allowing them to almost customize their experience depending on their preferences. In most cases, the mini-games are quite simple, though, so there’s very little reason to skip them. The action oriented sequences, which involve moving stealthily, switching between different characters to open a path, following a trail and more, are, unfortunately, a bit hit and miss, as mentioned before, with some of them sporting a little too much of trial and error to make them completely enjoyable. Once enough evidence has been found, players will have to connect the dots with the Deduction system. Before having actual deductions to connect, players will have to create them by connecting facts that have been learned during the investigation. Connecting different deductions correctly will allow players to finally solve the case. But before being able to close it, players will be forced to make a moral choice regarding the apparent culprit, a choice that will change the cases’ endings. The Deduction system isn’t anything new for detective adventure games, but it works nicely for the most part. In some cases, it’s possible to unlock the final deduction in a very short amount of time, giving players the chance to close a case quite quickly. It’s unlikely that it will be solved correctly, but it’s still a nice feature that faithfully represents the difficulties of the detective job: rush, and there’s a very good chance that the criminal will never get to pay for his misdeeds. Any self-respecting adventure game requires good stories and characters, and Sherlock Holmes: The Devil’s Daughter definitely delivers in this regard. Sherlock Holmes himself is a charismatic main character, and his bantering with Watson and other characters is quite enjoyable. Secondary characters aren’t as well developed, obviously, but they serve their purpose nicely. The actual cases won’t surprise any adventure games veteran, but they’re put together nicely, and manage to carry the game forward. Dialogues are also well written, with some very nice bits here and there, and, more importantly, well acted. Graphically, Sherlock Holmes: The Devil’s Daughter isn’t exactly remarkable. The game’s characters and locations are detailed enough, but we’re far from the best looking games released in recent times. The game’s performance is solid enough on PlayStation 4, running at 30 FPS most of the times. There are also no major bugs or critical issues, but the game does suffer from a technical issue that easily gets annoying: very long load times. The team was clearly well aware of the issue, as they included an alternate loading screen, a traveling by cab sequence during which it’s possible to access the Deduction system and the casebook. While this feature tries to make good of a critical issue, it doesn’t make it any less aggravating, especially when it’s required to travel between different locations often. Everything considered, Sherlock Holmes: The Devil’s Daughter won’t blow any player away, as it doesn’t feature anything new or revolutionary, but it’s evident how it’s a well crafted adventure game, with interesting characters, engaging cases and an actual gameplay variety that is hard to find in similar games. The trial and error nature of the action sequences and some technical issues, such as the extremely long load times, do get in the way, and the formula can certainly be improved, but Frogwares is definitely on the right path to make adventure games that can be enjoyed by a broader audience. Sherlock Holmes: The Devil's Daughter is a competent adventure game featuring a varied and well crafted gameplay experience, charming characters and engaging stories. The game still suffers from some issues, such as the the trial and error nature of the action sequences and the excessively long load times, which prevent it from being really great. 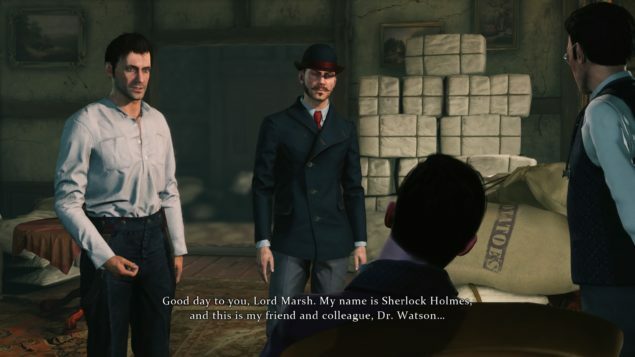 With a few adjustments and improvements, the Sherlock Holmes formula could become the standard for adventure games of the future, as achieving such gameplay variety is no small feat. Highly recommended to fans of the series and adventure games' fans.